A Professional & Reliable Locksmith You Can Trust . 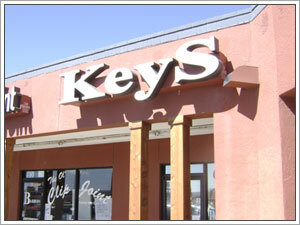 . .
ABC Lock & Key of El Paso is a full-service locksmith company located in El Paso Texas. We have offered locksmith products and services in the El Paso area since 1989. We provide all locksmith needs and specialize in all types of locksmith services. Our field of service expertise includes installation, repair and replacement of any locks, keys and more. Our locksmiths are available to you in-store, or mobile by simply calling. You can walk in to our store anytime. 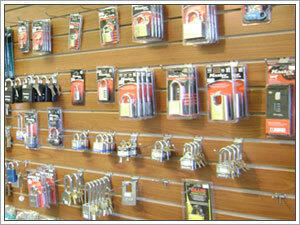 Feel free to shop for extra house keys, extra car keys, padlocks, safes, lockboxes, hide-a-keys and many other accessories. Use our in-store catalog to order specialty lock hardware products and we’ll contact you as soon as it arrives at our store. 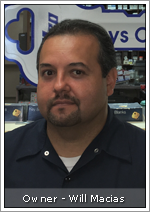 ABC Lock & Key of El Paso is a well-known name in the El Paso community. We specialize in all areas of security in the locksmith industry. If you have a particular item in mind that we don’t have in stock, we can order it. We promise guaranteed quality service! For locksmiths in El Paso, choose the best!.. 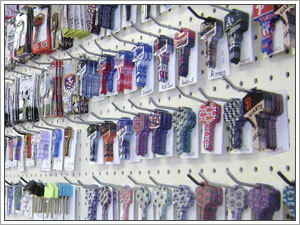 ABC Lock & Key of El Paso is located at 7930 N. Mesa Street next to Hobby Lobby in the Mesa Plaza Shopping Center. Our service area covers all of greater El Paso including Canutillo, Horizon City and Chaparrel, see list. All numbers are answered at 7930 N. Mesa and all vehicles are dispatched from 7930 N. Mesa. Need basic lock and key hardware for your home or business? Get started now by clicking here, residential locksmiths, and we’ll make some suggestions on how to upgrade your current lock hardware to the latest modern lock system. We’ll also give some tips on what hardware to choose to prevent burglary and home invasion.